Cate: Please welcome Margay Leah Justice. Margay, will you please share a short bio with us? Margay: Certainly. 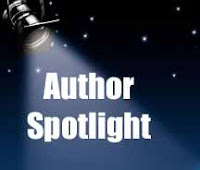 I am the author of two published books, writer for a few blogs, mother and mad knitter. And of course I love to read! Cate: Tell us about Sloane Wolf and where it's available. Margay: Shiloh nearly leapt off the sill as his hand touched her knee. It took every ounce of willpower she possessed to remain seated and appear undaunted by the gesture. “I am…much better now…thank you,” she said, becoming more unnerved by the presence of his hand by the minute. What was it about this man that rattled her so and with so little effort on his part? Sharing the same air with him was enough to send her pulses to the moon—and her mind somewhere else, something new for her. Being this attracted to a man was beyond her realm of experience. She didn’t know what to do with it—or about it. Should she do anything? Should she pretend indifference? And why wasn’t he so deeply affected? It wasn’t fair. Still confused, she gave him a weak smile, intent on backing up her previous claim with the gesture. She feared it failed miserably. When Micah returned her smile and lifted his hand from her knee, she felt precisely onesecond of relief before he shook her world again by caressing her face in parting. She stumbled back against the frame of the window, her lips parting on a startled breath as a lightning bolt shot through her at his touch. Something flickered in his eyes at her reaction—pain, perhaps—and he retracted his hand, balling it into a fist as he turned away from her, preparing to depart. In an instant, she realized her mistake. Along with it came the knowledge she couldn’t let him go away angry or upset. After everything he and his family had done for her, she owed him that much. She grabbed him by the shirtfront to stop him, and a shock of awareness shot from her hand directly into his heart, just beneath it. She could see it in the gaze he leveled on her then, could hear it in his breath trapped within his lungs, feel it in the missed beat of his heart. But then, all sense abandoned her, and her heart skipped a beat as he held her hand firmly to his chest with one of his own and lifted the other to her head, anchoring it against the window frame. Slowly, his eyes never straying from hers, he leaned across the space separating them. His lips brushed hers, like a whisper, before he withdrew, tilted his head to the side, and advanced again. This time the kiss was fuller, penetrating her every defense, both physical and emotional, but still not long enough for her. He retreated once again after a fraction of time and hovered before her, scarcely an inch away. Watching her. Waiting. Her heart beating a frantic tempo now, Shiloh abandoned all of her reservations and her good sense to swoop in for a more vigorous kiss. So vigorous, in fact, she knocked him off his perch through the open window. Only quick reflexes honed to perfection at the Institute prevented her from tumbling after him. Relief coursed through her at his statement, and she allowed herself the laugh she’d literally held back before. Her mirth was cut short, however, by his next words. His laughter followed her as she ducked back into the room. She could still hear it even after she closed the window, though not as well. Oh, Lord. She rested against the cool pane of glass and touched her still-tingling lips with shaky fingers. Was she? Falling for him? Was that what this crazy-mad feeling inside of her was? The question plagued her long into the night. Margay: It was actually originally intended for a writing contest with the theme of wolves. And I had been batting this idea around in my head for a bit before that, inspired by a story/movie I’d recently seen. So it all sort of fell into place after that. Margay: Sometimes, the characters come fully loaded and the plot just develops from there. Sometimes I plot it all out, sometimes it just flows from the fingertips on its own. Each story is different. Margay: Oh, yes! In fact, some of my best ideas come from actual dreams I’ve had. 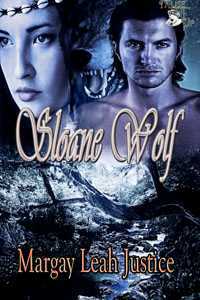 Margay: I will be writing a sequel to Sloane Wolf and I have another series planned about angels, a story about ghosts and psychics…lots of good stuff! Author: One book, called Nora’s Soul, which I am revamping with the intention of self-pubbing it. Margay: Intriguing, complicated and multi-layered. Margay: Most challenging – the first page, definitely. The first sentence is the worst – it’s the hardest and most important line an author will write, so of course it takes the most effort to complete! The most rewarding? Everything! But especially when I get positive feedback from readers. They’re the ones you want to impress, after all, so when they praise your work, it’s the best feeling. Margay: Hmm, that’s a good question, but I’m drawing a blank! Margay: I absolutely adore Julia Quinn, Sabrina Jeffries, Lauren Willig, to name three. I’m really into the Regencies! And Marilyn Brant is one of my favorite contemporary authors – her debut book, According to Jane, is still one of my favorite books. Currently, I am reading her book called A Summer in Europe. Margay: I am always curious about what attracts them to a certain theme and what will make them come back to the same author. Cate: Readers, Margay is giving away a book to a random commenter... so start commenting. Margay will draw the winner’s name, notify the winner and post the winner’s name here. Thanks so much for being my guest, Margay! Best of luck to you. Cate, thank you so much for having me! Welcome, Margay - thanks for being my guest! Hi, Margay. I have to say that I agree about the first sentence of a novel. It is the hardest to write. I sometimes write and re-write it several times before I'm happy with it. I also find the first chapter difficult. If that chapter doesn't draw the reader into the world I've created, they are likely to put the book down and move on to something else. There is definitely a lot of pressure when writing those first few words/pages. Good luck with Sloane Wolf - it sounds great! Yes, Michelle, I've found that if I don't get that first line, I can't move on to that first paragraph, let alone the first chapter. I've even tried to do placement sentences, just a generic thing to start that I intend to change later, and it doesn't always work. And where I'm a perfectionist, it can make things more difficult. This sounds like a really good book. Best of luck with it! Great interview. I love this cover, Margay. Thanks, Cheryl! I really love my cover, too!